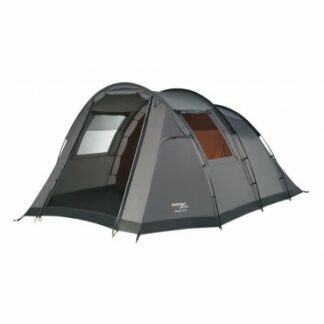 Whether you are going away with family or friends the Cedarville 5A offers flexibility with it’s three rooms, this five person tent which is ideal for short or long trips away. 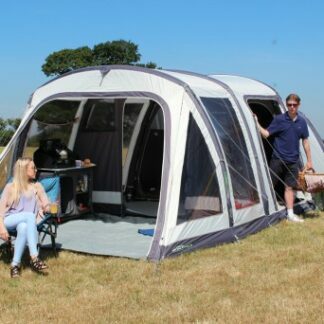 Whether you are going away with family or friends the Cedarville 5A offers flexibility with it’s three rooms, this five person tent which is ideal for short or long trips away. 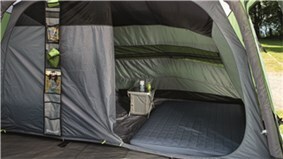 It is quick and easy to pitch and the pre-shaped air tubes gives you ample headroom in the living area. 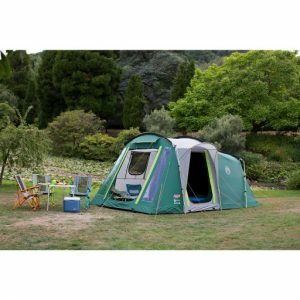 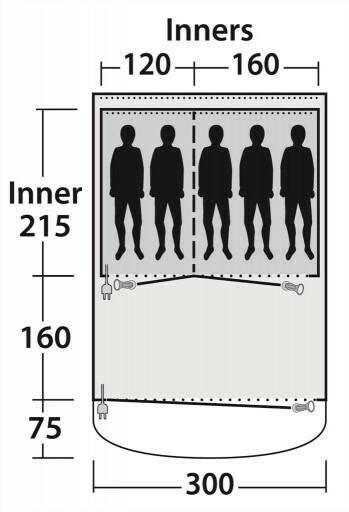 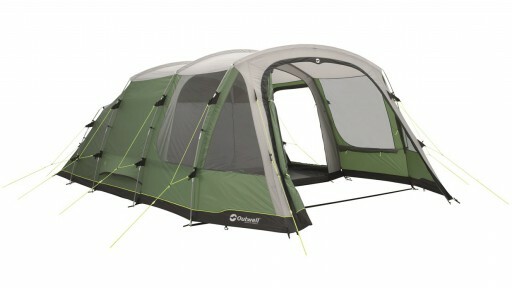 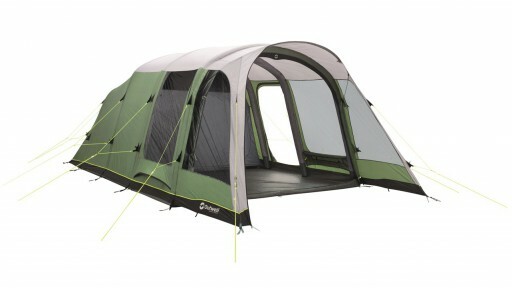 Along with the steeper sides, it allows for an open feel to the tent while still being compact. 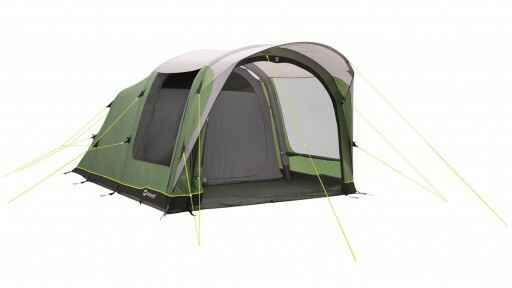 A generous canopy over its D-shaped front door offers extra protection from downpours. 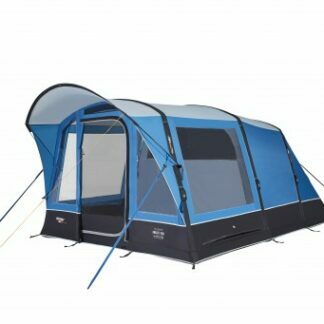 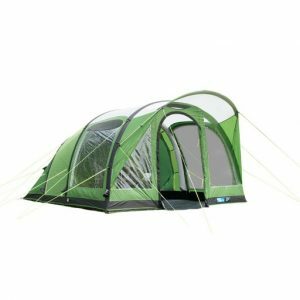 The front opening is double zipped to allow a completely open tent, which is backed by full mesh panel to keep those pesky insects out on the warmer days.